Music producer Barry Goldstein is not only a talented composer, but he’s also well-versed in the scientific benefits of music. In this episode of The Brain Warrior’s Way Podcast, Barry and Dr. Daniel Amen discuss the health benefits that can be gained by learning to play an instrument, especially for children. Their new album, the Feel Better Fast and Make It Last Audio Program, is now available wherever music is sold. Dr. Daniel Amen:	The Brain Warriors Way podcast is brought to you by Amen Clinics, where we've transformed lives for three decades using brain SPECT imaging to better target treatment and natural ways to heal the brain. For more information visit amenclinics.com. Dr. Daniel Amen:	Welcome back. I'm here with Barry Goldstein, we're talking about music and your brain. What about playing music? There's a whole science on people who play music, helps to develop certain areas of the brain. Dr. Daniel Amen:	That's so exciting. Now of course if you're playing music while you're drinking it completely ruins the benefit. Barry Goldstein:	Right. We're showing more and more that music is a language. So just like learning a new language is going to stimulate the brain, music as a language, playing music is going to stimulate the brain as well. They're showing more and more that improvising really enhances our divergent skills. So when you're improvising and making things up as you're going in music, that that's really more of a benefit than pre-planned music. And they, believe it or not, show that with freestyle rappers. So freestyle rappers are basically the ones who you're making up the rhyme as you're going along. And when they brain mapped the freestyle rappers they showed that the areas of the brain that were associated with creativity were the ones that were enhanced. But when they read lyrics that were already done, that did not have the same benefit. Dr. Daniel Amen:	So creativity matters. So when you learn to play guitar, you learn to play piano, that stimulates learning and memory portions of the brain. So it stimulates the hippocampus, also the cerebellum. And I recommend people do cerebellar exercises all the time, coordination exercises. Barry Goldstein:	Mm-hmm (affirmative) absolutely. What's unfortunate is that we're taking it out of our school systems when we should be putting more of them in because of things like this. Dr. Daniel Amen:	So would you recommend, never in a stressful way, but parents encourage their children to play instruments? Barry Goldstein:	Absolutely. Especially if they have an aptitude towards it and they are seeing that they want to do that. If something they don't want to do that you … There's a thin line sometimes between certain ages. I know that when I was 10 years old I wasn't the same as I was when I was 12, and was really into playing the guitar then. So I think parents have to use their judgment and encourage their children when they see that there's a space there. Dr. Daniel Amen:	Let me push on that just a little bit, because I have a grandson and left up to him he wouldn't play. And what his dad said, and I completely agree with him, is, "You don't want to do math, you have to do math. You don't want to do music, you have to do music because developing this skill is critical to your brain's development." And I really like that because most of us do not like doing things we're not good at. We like to do things we're good at, but if we only do what we know how to do, we're not stretching or pushing the brain. And then it crossed over to now he likes it because he has developed some basic skill in it. Barry Goldstein:	And discipline to do it. Dr. Daniel Amen:	And discipline to do it. Barry Goldstein:	I would agree with that. And I would also say that why not ask him what instrument that he would like to play? Maybe there's one that they do want to play if they're not feeling one or the other. I know I started off on drums and my neighbors really didn't think too highly of it. So my parents said, "Why don't you play the guitar?" And drums really never resonated with me, although I thought I wanted to. When I picked up that guitar it was like coming home. As soon as I learned three chords I was writing songs. So I think a lot of kids, they have to experiment to find the right instrument that calls to them. Dr. Daniel Amen:	So how would you recommend people do? Because people listen to the Brain Warriors Way podcast, they're all about new learning and optimizing their brain. But there's so many instruments, they don't know what to start with. What would you recommend? Barry Goldstein:	If you were just going to start learning to play an instrument, I think guitar is a good instrument to pick up because it doesn't take a lot to start to play it. It's encouraging because you can learn a few chords and you're on your way already. Piano is two hands and it's a little bit more technical. But I think guitar is a good start. A lot of people now are getting into percussion and just hand drums, and more and more studies are showing that people who are using drums have a way of moving into rhythm with their life as well. So just moving drums at a set rhythm as well is relieving anxiety. So especially for kids who are ADHD and have a hard time focusing, rhythm is really great to just keep them synchronized and active. And playing a drum, or if you can't play a drum kit in your house, hand drums are great as well. Dr. Daniel Amen:	And if you picked up the guitar, for example, do you have to have a teacher or are there programs now that you can really work on it on your own? Barry Goldstein:	I think it's both. I picked up the guitar initially on my own and took it as far as I possibly could go and got really far with it. And then I think it's just like anything else, we start looking for mentors and people who are better than us, because the better the person you play with the better you get. So I think you can get to a certain point but I always recommend playing with someone better than you and learning from someone better because it pushes you into being better yourself. Dr. Daniel Amen:	That's so true in table tennis, so that's my sport. And if I play with people I can beat all the time I don't really get any better. Dr. Daniel Amen:	So that is just fascinating. Dr. Daniel Amen:	How interesting. Barry Goldstein:	Through music and now defining that emotion based on musical structures and chords. Dr. Daniel Amen:	So you were saying just learning three chords that actually you can begin to play some songs. Dr. Daniel Amen:	Right, because you have to be successful early in order to continue things, which is so important. In "Feel Better Fast and Make It Last," my new book, I actually went through the research on what kinds of music could help you feel better fast. And what came up over and over again was "Sonata for Two Pianos in D Major," which is one of Mozart's pieces that has been associated with improved cognition. Also in the book I list a lot of them, Aaron Copeland's "Fanfare for the Common Man," or Marconi Union's "Weightless" has been amazing, "Lost in Thought" by John Hopkins. They actually found that music without lyrics, which is what we have in our new album, "Feel Better Fast and Make It Last," is less distracting. 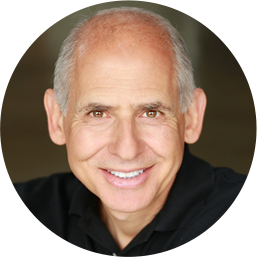 Dr. Daniel Amen:	Now sometime adding nature sounds can help boost mood and focus, but what was interesting, there were some fun songs like "Good Vibrations," "Don't Stop Me Now" by Queen, "Uptown Girl" by Billy Joel, "Dancing Queen," ABBA, "Girls Just Wanna Have Fun" by Cyndi Lauper, also showed brain enhancing, mood enhancing effects. Barry Goldstein:	That makes total sense. 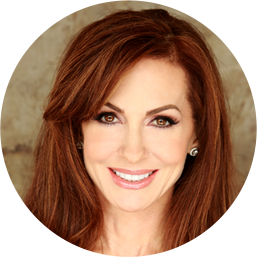 Dr. Daniel Amen:	Music can help you or it can also hurt you. If you get triggered, you had a failed relationship and your song comes on all of the sudden you're weeping. Barry Goldstein:	Music creates autobiographical memories. So we define points in our life based on pieces of music. So if someone, like you said, broke up to "Girls Just Wanna Have Fun," they're not going to have the same effect as someone who loved it and played it and went out with their friends at another age. Dr. Daniel Amen:	That's so funny because Tana and I totally have this problem where when I was a teenager, Cat Stevens was really big and so I loved his music and played it over and over again. But she's younger than me and that music reminds her of her uncle who's a drug addict. And there's a lot of negative memories around that. Barry Goldstein:	You have to be careful, yeah. Dr. Daniel Amen:	She gets furious with me and I'm like, "My god, I have to break up with Cat Stevens in order to keep this woman." But she's totally worth it. Barry Goldstein:	What I think is cool about all of this though, and what we're learning more about preferred music and autobiographical memories, is that we don't have to use music as random events that happen to us. That's what most of us do. We hear a song, we're like, "My god, I feel so good now that I've heard this song." And it's a random experience. What happens when you plug it into your day and say, "That's my happy song, I'm going to start my day with that?" How do you start your day now? You're up and you're elevated because it's not just music, it's not just art and entertainment. And that's what we're doing together is we're creating programs where we're bringing awareness that they don't have to be random events. You're in control. You could be the deejay of your own life. Dr. Daniel Amen:	I love that. When we come back we're going to share some of our favorite music pieces besides, of course, our new album. Stay with us. Thank you for listening to the Brain Warriors Way podcast. 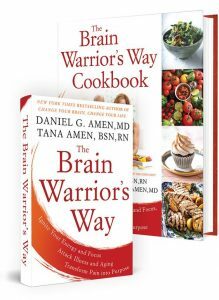 Go to iTunes and leave a review and you'll automatically be entered into a drawing to get a free signed copy of the "Brain Warriors Way" and the "Brain Warriors Way Cookbook" we give away every month.